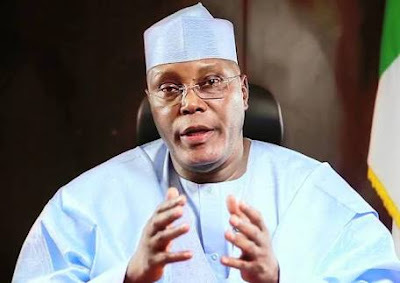 The recently inaugurated reconciliation and disciplinary committee of the Peoples Democratic Party (PDP) has recorded some level of successes in reconciling former President Olusegun Obasanjo, Alhaji Atiku Abubakar and other aggrieved ex-chieftains of the party. The Caretaker Committee Chairman of the party, Muhammed Ahmed Makarfi, spoke in Kaduna yesterday, while also warning those who are bent on undermining the party through anti-party activities to desist, otherwise the wrath of PDP constitution will soon descend on them. Makarfi told journalists of how the party will reposition itself and make sure that it defeats the APC in the 2019 polls. He also said that useful lessons have been learnt from the past and under the present political dispensation. He said within the week, the party would inaugurate the caretaker committees in those states.“I am happy to say that all the factional divisions in those states, from the report I have received, have been sitting together and accommodating each other to participate in the caretaker committee. That is the first stage of bringing all elements in the party together. I heard Lagos and Kebbi are all doing fine. Other states are meeting over the weekend, based on the reports I have received. At the end of the day, we will be there, God willing. Meanwhile, a meeting convened at the Wadata plaza, national secretariat of the party yesterday to reconcile the warring factions of the party in Kwara State ended without a resolution. The party had engaged Solomon Ewuga to serve as mediator between the two warring factions of Iyiola Oyedepo led camp and Sunday Fagbemi group.But signs that the two-hour meeting ended in a deadlock emerged as some of the stakeholders were seen discussing angrily in clusters, while others hurriedly left the party premises. When approached for comments, former minister of national planning , Suleiman Abubakar refused to speak. Makarfi, during the opening session, asked the two camps to emulate four other states that have resolved to work together, noting that Kwara State was reputed to be very politically mature. In a related development, Makarfi lampooned the APC government over the charges of corruption used in allegedly victimising past PDP leaders and public office holders, saying that the same allegation of corruption is currently trailing the government of President Muhammadu Buhari. He condemned the continuous detention of the former National Security Adviser, Colonel Sambo Dasuki despite the judgment of a Federal High Court and ECOWAS court ordering his release on bail.